Speculation and it can only be called speculation at this point with David Wessels strongly linked to the Munster Rugby head coaching role. With rumors in Australia that Super Rugby Pro 14 outfit Melbourne Rebels is very much interested in Wessels as well, is this a classic agent created media report to attract interest for his client or is it a done deal for Wessels to come to Munster replacing Rassie Erasmus. Hawkeye Sidekick has his say and wonders if this appointment is the right fit for the club at this time. Wessels is an interesting candidate. If you were a recruiter, you would say that Wessels is a well rounded candidate with plenty of life experiences so far for such a relatively young age. He graduated with a Bachelor of Business Science and has also completed his Masters, in IT. Before embarking on a rugby coaching career, Wessels was head of new media Touchline Media. He also helped launch the website, SARugby.com, now integrated into the Planet Rugby platform, a South African based rugby news site. You are probably wondering on the coaching experience part of the resume. Wessels began his professional coaching career as a consultant for the Stormers in the 2008 season, a year later he took on the assistant coaching role at the University of Cape Town (Ikeys), winning the Varsity Cup and the Western Province League competition for the first time in 37 years. After eleven years in Cape Town he moved to the ACT Brumbies in 2012 as their Defense Consultant. Under his guidance, they went on to have the second best defensive record in Super Rugby. 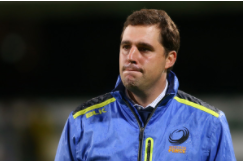 Western Force then hired Wessels as a defensive consultant for the Western Force, and later Senior Assistant Coach for the 2014, 2015 and 2016 seasons. Wessels then took over as Interim Head Coach for the last three games of the Western Force’s 2016 season. No wins in those three cameos. Munster Rugby and the IRFU have stressed this week the need for a seamless transition between Erasmus and the prospective new head coaching hire. Wessels is also being linked to the Melbourne Rebels and considering some Australian media reports this week, the Rebels still believe that they will get their man. Munster Rugby and IRFU need to close the deal now if they are convinced that Wessels is their guy. If David Wessels does get the Munster Rugby head coaching job, it will be a managerial appointment pretty much into the unknown. There is a distinct lack of head coaching experience (just over a season); the South African has served his time in various defensive consultant / assistant coaching roles. It is a risk for Munster Rugby given this fact. The upside is that Wessels could conceivably join up with the team mid-season and work with the existing backroom staff to seamlessly get immersed in the culture and running of the club. Erasmus is a superb organizer, knows how to implement club structures for long term success. Wessels on the other hand has not this experience from his resume accomplishments. This season has seen the Force finish seventh in the Australasian conference. Six wins out of fifteen league fixtures in a competition. The hope is that Wessels brings the good elements from his Stormers, Brumbies and Western Force tenures to elevate Munster’s performances to the next level which is required this season. Wessels will be learning on the job in effect; hopefully the side will win games early to allow the South African to settle into the post if accepted. An intriguing head coaching link. Some could consider this appointment as a gamble but IRFU and Munster Rugby have apparently examined all options. Wessels if media reports are to be confirmed is their man. Intriguing times indeed. Munster Rugby fans are again into the unknown. Erasmus came into the head coaching job with little background but did a fine job. Wessels’ come into the equation with even less rugby management experience. One would hope that Munster Rugby and the IRFU have done the required research, otherwise this appointment could damage the province long term. In this article, Hawkeye Sidekick reflects on the Conference B standings so far which has seen the usual suspects well positioned for the rest of the season and encouraging signs for Benetton Rugby in recent weeks. 100% record for Ulster. Perfect start to the season and the side have shown massive potential in their expansive play in these early rounds. The appointment of Jono Gibbes to the backroom staff has had an impact; the pack are a more cohesive unit setting the platform for the half-backs and back line to create havoc for opposition. 140 points. 19 tries scored. Those two statistics speak volumes. Pienaar may have reluctantly left Belfast but Christian Leali’ifano has being on point early doors, given an early opportunity to impress due to Paddy Jackson’s on-going court case. A criticism leveled from this blog was the lack of consistency from the side last season considering the squad depth assembled. The lapses of concentration have being few and far between and the gritty win over the Scarlets in round three showed the potential in the ranks. Jean Deysel acquisition will be priceless for Ulster as the season progresses with the likes of Rory Best, Iain Henderson in international duty. Deysel is abrasive, human wrecking ball who can fulfill multiple back row and second row positions. The next couple of fixtures are key for the Kingspan Stadium outfit. The next four fixtures are Zebre Rugby (A), Connacht Rugby (H), Leinster Rugby (H) and Southern Kings (A); potentially three wins at least from this fixture listing and that would setup the Irish province with an immense platform to secure a top three playoff berth. Good times ahead for Ulster. The reigning league champions have started this campaign in relatively confident mood. 19 tries and 146 points scored. The campaign started with emphatic victories over Southern Kings and Zebre Rugby but a 27-20 loss away to Ulster Rugby has focused minds. The contest was probably the best game so far in the tournament. The game ebbed and flowed. Leigh Halfpenny has seamlessly integrated into the side with minimum fuss; the departure of Liam Williams to Saracens offset by this sensational capture. No radical overhaul of the squad last season; continuity the key. James Davies started the season well until injury struck, will be interesting to see how the side copes without the talisman seven who was a key factor in Scarlets’ late surge to the league crown last season. His breakdown work was sublime and his support running for the ball carrier was exemplary. Scarlets next four fixtures are Connacht Rugby (H), Ospreys (A), Cardiff Blues (H) and Benetton Rugby (H). Intriguing local derby fixtures in the middle of this four game set as Ospreys and Cardiff Blues are in must win territory already. Expansive style of play will create bonus point try performances; the key will be consistency with Scarlets in the pack to create the platform. Solid team, expect Scarlets to be in the top two of the conference come the end of the regular season and will improve as the weather improves next March and April. Leinster Rugby have started the season with confidence. If I wrote this blog this time last week, 100% record would have being duly noted. The 38-19 reversal to the Cheetahs last weekend is a timely reality check for the squad as Cheetahs picked their moments to unlock Leinster defensively in the high altitude of Bloemfontein. The squad depth that Leo Cullen / Stuart Lancaster is superb. Daly has being in superb form for Leinster; a hat-trick last weekend, a player of note for the upcoming season. When you consider that the majority of the Lions contingent have yet to feature so far, the side will continue to improve in cohesion, set piece and attacking play. The opening three fixtures highlighted Leinster’s attacking play with emphatic victories over Dragons and Southern Kings away from the RDS. Cardiff Blues provided resistance in round two but Leinster turned the screw in the final quarter to secure the BP win. Squad depth is no issue and the next four fixtures look likely to set the Leinster province up well for the rest of the season. Home games against an inconsistent Edinburgh Rugby and a Munster Rugby outfit who have not fared well in Dublin. The road trips see Leinster travel to conference rival Ulster Rugby and also a key contest away to Glasgow Warriors at Scotstoun, superb fixtures loom large. Top three is a certainty; intriguing three way fight between Ulster and Scarlets to secure top spot. Can Leinster’s second row provide the physicality and set piece execution required in the line-out come the business end of the season to elevate the team for honors? The second rows were exposed in the playoffs last season; acquisitions secured so it will be interesting to see how this unit fares. New head coach Richard Cockerill has learned plenty about his charges in the past four fixtures. A promising start has evaporated in recent weeks with reversals to Benetton Rugby at home and an emphatic loss away to Scarlets. Performance consistency was highlighted in round three; a fixture which many felt was a home win all day long but Benetton Rugby were superior in all facets of play. Nine tries so far scored this season and the majority scored in the first two fixtures. The back line have struggled to receive quick ruck ball given the struggles of the pack. Edinburgh’s next four fixtures will make or break their league season; they face a daunting trip to the RDS to face a Leinster who will be keen to produce a good performance ahead of their local derby game against Munster the following week. Two Italian fixtures then beckon and Benetton (A) looks banana skin written all over it. The home fixture to the Ospreys could be a key result for either side. A defeat here and the gap to the top three could have opened up to such an extent that the top three could be out of sight. The usual squad leaders will need to come to the fore. Bradbury, Hidalgo-Clyne, Ford, Tovey, Toolis and Hardie will look to create the platform to win upcoming fixtures. Top three looks beyond them at this stage but Cockerill will look for his side to play with physicality and competitiveness. An interesting side to monitor as the season progresses. Encouraging signs from Benetton Rugby in recent games. Round three and four wins over Edinburgh on the road and a fantastic victory over Ospreys at home bodes well for the side. The league needs Benetton Rugby to flourish and provide the Italian fans with something to shout about. The last two fixtures have seen solid defensive performances, minimal missed first time tackles which plighted their performance against Munster. The Ulster loss was a good performance and showed the signs seen in round three and four. Banks and McKinley have the kicking game to provide territorial platform supremacy. Sperandio has being sublime in recent weeks; great solo effort to setup Minto against Ospreys. The next four fixtures will be crucial indicators on whether the Italians upsurge in form will remain or is just a flash in the pan. Confidence may be high but Glasgow buoyed by their demolition of Munster Rugby will look to secure a bonus point try win. The middle fixtures in this four game stretch could be where further wins are possible. Southern Kings (H) and Edinburgh (H) are winnable fixtures and to conclude a tricky tie to Scarlets on the road. Two wins from these four fixtures would be considered progress. A season where the league organizers will look for Benetton Rugby to improve; Italian Rugby Union are looking to Benetton Rugby to provide professional club success with the decision to use Zebre Rugby as a developmental side. Top three is out of reach but the key theme is to produce consistent performances and secure wins at regular intervals where possible. Bernard Jackman now knows the magnitude of the task that faces him at Rodney Parade. The re-branded Welsh region have enjoyed one win so far this season, a round three victory over Connacht Rugby where they dominated for long periods; the bonus point eluded them. The other three fixtures have being chastening experiences for a young squad. Leinster’s emphatic opening day victory exposed Dragons’ inexperience in key positions. The road trip to Edinburgh was a mixed bag; poor officiating did little for Dragons’ cause and were in it until the last quarter. Ulster’s expansive rugby play was too much for the Dragons last week. Tough start to the season for the Dragons with Ulster and Leinster early doors, the hope is that confidence and form can improve in the next four fixtures. Southern Kings arrive to Rodney Parade this week. Two Welsh derbies then beckon and conclude with a trip to Cork to face Munster Rugby. This weekend is a key fixture; they need to beat Southern Kings, otherwise confidence will dip. A season in transition for Jackman; key is for the young squad members to get game time and improve per each passing game. Jackman will also look for Gavin Henson to provide experience and leadership if the side are in position to close out games. Top three unlikely even at this early stage. Massive disappointment to the league. Southern Kings’ squad look ill-equipped in the opening four fixtures of the league. They will try to execute a fast tempo game but the skill set does not seem to be at this level; unforced error count, set piece woes and defensive gaps have being hallmarks of the season so far. Not much to shout about. The home attendance for the Leinster game was embarrassing to the side, players, management and the league. Whipping boys. I do not see how this side can improve to the extent where they are in top three contention this season. Dragons fixture this weekend and perhaps the road trip to Benetton Rugby offer the side with an opportunity to get in the winners circle but a road trip to the Glasgow Warriors is a damage limitation exercise while the visit of Ulster Rugby who are playing with confidence is another daunting task. Let us hope that the South African powers that be strengthen this outfit for the league come the turn of 2018. The league needs Southern Kings to turn up; it is not happening at the moment. Four games into the Guinness Pro 14 and some interesting subplots have emerged in Conference A. Hawkeye Sidekick reflects on the action so far and wonders if the South African and Italian challenge can continue to keep the neutral interested. Glasgow Warriors have sent a massive statement of intent to the rest of the conference early doors. Their emphatic bonus point demolition of Munster last weekend oozed confidence and the expansive style of play so early into the Dave Rennie era can only spell trouble for the rest of the league as the season progresses. This start has being achieved with the likes of Hogg, Gray and Wilson only came to the lineup in round four. Rennie has being quick to dampen the promising start, stating that he is expecting more improvement in accuracy. The New Zealander is spot on in this assessment as their performance against Cardiff Blues did throw up some set piece consistency issues. A team who will dismantle the majority of opposition who come to Scotstoun this season. Squad injuries and international breaks killed the side last season and November will be an acid test of the side but given how the team have coped without several marquee front line players, this is the form side of the conference so far. I would be shocked if Glasgow Warriors do not secure either of the first two places in the conference standings come the end of the regular season. Difficult realistically to assess Munster at this point of the season. I thought the victories to Benetton Rugby and Cheetahs at home were too easy but these two sides have impressed in recent weeks. The Ospreys game was viewed as a tough road trip but then you see the Ospreys fall away again to the Benetton Rugby, one asks on the merits of this contest. The Glasgow game has provided management, players and fans with food for thought in the province. Second best in the contact area, defensive lapses out wide were ruthlessly exposed. Munster have shown potential in attacking play. Conway, Wootton, Farrell and Taute have provided moments of quality in the league so far. Bleyendaal’s kicking has being inconsistent and it provides hope for the likes of Keatley and Hanrahan to stake a claim for the jersey. The loss last weekend will focus minds, a reality check in the context of the season with tough fixtures ahead against Cardiff Blues (H) and a trip to Dublin to face Leinster. With the front line players near a return, Munster’s management will look for performance improvement in the weeks ahead. Second spot in the conference, a solid start but there is scope for improvement as last weekend showed. How Munster combats pacy, expansive minded teams is the key question this term? With Erasmus out the door at the end of the year, the rest of the coaching staff intact come January may need to provide their own take. Intriguing second half to the season potentially beckons. The standout result along with Glasgow’s demolition of Munster last weekend was the superb victory for the Cheetahs against Leinster. 38-19 scoreline will provide impetus and momentum for the Bloemfontein outfit to excel in the league. Cheetahs start to the season was predictably a mixed bag; a tough road trip to start the tournament but the side have regrouped superbly in the last two weeks. They signaled their intent with a fifty plus scores put on Zebre Rugby and then they continued their good attacking form with an excellent attacking display over a Leinster Rugby side who came into the contest full of confidence. The altitude factor is a massive plus for the South Africans and Leinster Rugby struggled to cope with this element last weekend; the one week acclimatization period was insufficient for the team and the hosts took full advantage. Cheetahs picked their moments superbly. Ten points from the first four games is a good return and with squad members coming back from international break and Currie Cup duty, one suspects that this is the South African side who will compete most this season. Cheetahs will benefit from the RBS 6N tournament international window and do not be surprised if the Bloemfontein outfit secure a top two conference spot. Their expansive style of play at home has being to the fore in recent weeks. Venter is outstanding and Pro 14 fans are now seeing the talents of Small-Smith, Nche. Expect more excitement from this outfit as the season evolves. A mixed bag from Connacht Rugby. The Pat Lam era has concluded and the Kieran Keane era has started with mixed results. A bonus point win over the Southern Kings is the only win so far this season. Connacht have shown work rate, tempo and expansive style at times but they have being left to rue late lapses at home particularly against Glasgow Warriors and last weekend Cardiff Blues conceding a Halaholo late try. Lapses in defensive line speed and organization have being punished in recent weeks. Dragons registered their win against the men from the West in round three. Connacht should improve as the season progresses but there are question marks on the ten jersey squad depth. Carty again looks the de-facto fly-half and what happens when Aki is injured for a significant period of time. Keane will look to draft SH players at the end of the year along with looking to other provinces for players who need game time. There has being several good additions to the squad, like the signing of Rory Scholes who can play multiple wing positions. Every much a transitional season for Connacht this year. Galway locals need to remain patient; key recruitment in the coming months to strengthen in the pack and half back areas. Intriguing squad decisions to be made. Credit to Michael Bradley and Zebre Club Rugby. A shortened preseason due to the ongoing Italian RFU decisions on the team. Their win on the road to the Southern Kings last weekend was comprehensive and their performance against the Cheetahs must now be viewed more favorably given that they scored thirty-nine points during that contest. Canna looks a player of note for both club and national team. Bradley has rotated the squad in recent weeks, giving squad members their opportunity and they have responded. The upcoming fixtures against Ulster (H) and Edinburgh (A) will determine how competitive the Italians will be this season. I am hoping for the league’s sake that Zebre show well in these contests. We need the Italian teams to compete in the league this term. Bradley and management will look to identify further players in the coming months; a decent start but tougher tests lie ahead. Ospreys with their squad roster should be better than what they have delivered in these opening four round of games. The last three fixtures are an accurate assessment of where the Welsh region are and to be frank, their attacking side of play has failed to fire with an over-emphasis in a kicking game which has not being accurate enough to put pressure on the opposition. Glasgow Warriors loss away was no disgrace given the manner in which the Scottish region has started the season. The Munster loss at home was one that the hosts failed to assert dominance after James Hook’s try. Ospreys’ back line looks explosive with the likes of Allen, Giles in the ranks but ball has being slow and as mentioned, a tendency to kick when trying to launch their three quarters has being common sense. The pressure on Steve Tandy intensifies if the twittter chat is anything to go by; the accusation that strong squad recruitment is being hindered by ineffective, poor management. Jones, Biggar, Webb will provide quality and impetus but the style of play needs to evolve with more emphasis on ball carrying and creating quick ruck ball for a talented back line to flourish. Ospreys will improve but they cannot fall any further behind the likes of Glasgow and Munster particularly when an international window looming large. A season so far which has not reflected Cardiff Blues competitiveness so far in the competition. On another night, Cardiff Blues could have beaten Glasgow Warriors in round three. A point loss was tough to take considering the late penalty miss. The Welsh region competed well against Leinster for long periods but succumbed in the final quarter. Edinburgh Rugby loss in the opening game was disappointing but the team have improved since then. Their resiliency seen in their late win against Connacht Rugby in round four with a late try to win the fixture. It was a determined effort and they will not fear Munster Rugby in round five, a team which they have run close last season (won deservedly in Cork and lost narrowly at home). Sam Warburton’s absence is a blow but Navidi again has provided leadership. Cardiff Blues need to pick up wins and the next two fixtures (Munster (A) and Dragons (H) are pivotal to how competitive they are in the league. If Cardiff Blues can take points in both games, they will remain in the chasing pack. Otherwise, the side will languish and the league could be over before it starts. Glasgow sent out a massive statement of intent to the rest of the Pro 14 league with an emphatic five try victory over a Munster side who struggled to cope with the speed and expansive play of their hosts. Hawkeye Sidekick reflects on the action. Dave Rennie arrived to Glasgow in the off-season with a glowing reputation; a coach whose expansive style complemented the style implemented by his predecessor Gregor Townsend. If this is the performance levels with a depleted squad, the rest of the Pro 14 and ERC teams should be worried. This was a performance full of invention and work rate. Glasgow won the contact area all night and Munster struggled to slow any ruck ball in the opening period. Sarto got the ball rolling with a superb opening try. Munster stretched to breaking point defensively as Glasgow stayed patient, throwing the ball around from side to side. Sarto evaded a poor Munster first tackle to score. Ominous signs for Munster as Finn Russell added the extras. Like last weekend, Munster were asked to answer early game minute questions and they responded with a quick try of their own. Rory Scannell scoring his first try of the season; good finish powering over from the corner. The key point from Munster was the decision to put Scannell on penalty kicking duties. Bleyendaal has struggled in recent weeks but it was a surprise to see Scannell kicking from the tee. A regulation penalty miss from Scannell set the tone for the rest of the evening from a Munster perspective. The hosts deservedly scored their second try of the night with a sweeping move which Jones went over; the move started eighty meters out and Munster’s video analysis should be scathing on the line speed and defensive decision making which unfolded for this try concession. Russell again took care of the extras and after a competitive opening thirty minutes, Glasgow were up by fifteen points. Munster needed to respond. Glasgow Warriors started the second half as they started the first half and Grigg emerged with the ball for the third try straight after the resumption. Munster again lacking physicality in the contact area as easy yards were gained in the lead-up to the try. Munster’s video analysis sessions will be a horror show on Monday. Glasgow were wholly dominant and they started to pass the ball with sheer abandon. Cue Chris Farrell to intercept and score Munster’s try. Credit to Munster and new signing Chris Farrell’s game reading was key in touching down early into the second half. The conversion was again missed and no significant pressure was applied by Munster thereafter as Glasgow were unerring in their execution of an expansive game plan. Munster were under the cosh, tackle count was getting high and line breaks would surely come for the hosts. Enough said. The avalanche started in earnest as soon as Billy Holland was sin binned. Cummings’ try and the crucial bonus point was secured on sixty-three minutes. Munster defensive first tackles had left the arena as Sarto broke out of seven Munster wannabe tackles. Cummings was clinical and scored from close range. Munster were routed; memories of the Scarlets Pro 12 final streaming back. Munster were unable to compete with a team who were precise in their attacking lines; exposing Munster’s defensive cover from side to side with devastating results. If the evening could not get any worse for Munster, substitute Fineen Wycherley was given his marching orders for a shoulder charge. Glasgow Warriors were already out of sight and were content consolidating the result than sticking the knife into Munster even further. It was a season defining performance from the Warriors; a sell out crowd, the ambition of the club this season was evident in this cameo, full of invention and with Finn Russell in superb form, the side are well primed to probably top the conference standings as well as have a good tilt at the European Rugby Cup. The result tonight achieved with a lengthy injury list with notable absentees such as Hogg, Russell on the treatment table. Ominous signs. Munster will not panic over this result but it was a good reality check for the side. The Ospreys contest saw flashes of good play but the defensive line speed issues seen at the Liberty Stadium were even more exposed here. The young squad members got a lesson in playing top quality opposition; it was a struggle from start to finish. The discussion on kicking duties is now an intriguing subplot for Munster. Keatley and Hanrahan will definitely be eyeing up the ten spot. Bleyendaal to his credit has being excellent with ball in hand; his kicking performance has being inconsistent. The New Zealander will be the first to recognize this fact and is not a major issue. Munster’s next two fixtures are intriguing. Cardiff Blues always run Munster close; last season saw Cardiff Blues deservedly win down in Irish Independent Park and Munster somehow managed to scramble a win in Wales. A team who ran Glasgow close last weekend; Munster will be on their guard for the forthcoming fixture. The loss at Glasgow will focus minds with the Leinster fixture looming large, a team who will look to expose Munster with an expansive game plan. Erasmus has work to do with the side before he leaves in December. Discipline and contact area will be key areas this week. Yes, senior players will now come back into the mix but Munster have being routed by a pacy, expansive tactically focused outfit again. Time to reflect and make the necessary adjustments. Munster remain unbeaten following a 21-15 win over Ospreys at the Liberty Stadium. A game plighted by the inclement weather but still plenty for both teams to mull over in the coming days in video analysis. Hawkeye Sidekick reflects on the action wondering if there is a genuine battle for the Munster ten jersey. This was Munster’s first serious Pro 14 fixture of the season. After an underwhelming one sided contests against Benetton and Cheetahs, Munster knew that this fixture would be a good gauge of where the squad was at, how the young players would react on the road and attempt to open daylight between themselves and Ospreys, a side who always are competitive against Munster and who will be a chief conference challenger this season. Munster started the game with gusto. Kleyn continuing to be a wrecking ball in contact. His work rate and physicality creating some excellent platform for Munster forward colleagues to create further gain line breaks. An early penalty was scant reward for a promising opening period. The hosts to their credit responded with aplomb; a superb try from James Hook who evaded several wannabe Munster defensive efforts to score. Munster will be disappointed with the try concession; line speed was slow and disorganized. Farrell making a hit on Davies created a wide opening in defense and someone of the caliber of James Hook was going to punish the lapse. Sam Davies slotted over the conversion and Munster were asked their first key question of the season. Could they regroup and put Ospreys under pressure? Munster’s pack took the onus and the powerful lineout / maul setup Kleyn to crash over. Bleyendaal recovered from a shaky start (1/3) to slot over the conversion. Game on. Munster continued to ask questions of the Ospreys whose kicking game was aimless at times. Munster’s second try was superbly executed. Conway with a superb aerial win. Farrell with the pace to create the line break; the impressive Sean O’Connor whose support and running had Munster right on the try line. The incisive pass from Taute realizing space out wide to Sweetnam to score in the corner. Bleyendaal missed the conversion and significantly mother nature decided to unload with torrential rain for the rest of the contest. 15-7. It was now a contest where the kick game and pack exchanges would be absolute key. Ospreys and Munster exchanged penalties early in the second half and Munster management decided to call ashore the front row unit with mixed results. Credit to the Ospreys front row; they were inconsistent in the first half but responded to the challenge in the third quarter forcing two more penalties which the impressive Sam Davies from the tee converted. Munster from a position of strength were now looking for composure and game management and Bleyendaal responded after a shaky third quarter to provide territorial gains in the wet, inclement conditions. Munster’s pack then were summoned to make incursions deep into the Ospreys territory. Several phases of play thwarted by excellent Ospreys defense. A stalemate looked likely but then Munster won a penalty straight in front of the posts which was converted and gave room to breathe in the last five minutes. Given the conditions, ball handling was an occupational hazard. Both sides tried to pass the ball with pace but the weather conditions saw many unforced errors as defenses were on top. The kicking game was a sort of concern for both sides. Ospreys back line contained the likes of Hook, Allen, Giles, Evans but the ball distribution at times was lacking from the half backs. A key moment of the game in the third quarter saw Sam Davies with a key decision to make. Thirty meters out from Munster’s line, Davies had options outside but chose to kick a diagonal to the corner which was taken with ease by Munster. Ospreys line breaks were at a premium and the line break from Giles at the death was a probably keynote moment in the second half. The exciting winger was bundled into touch and the game was over. Ospreys will look to their Lions contingent to provide leadership and increased quality in all facets of play but the game plan was limited against Munster; expected Ospreys to unleash Allen and Hook throughout but Allen was a peripheral figure which was strange, a player of great potential. Biggar was introduced late in the day but it was not long enough to turn the game to the hosts favor. Ospreys if they can improve their attacking lines will be a threat in the league. A disappointing two week period but the Welsh region will bounce back, still a key player in the conference A standings. Munster will be happy to be tested seriously by the Ospreys. The game was hindered by the inclement weather conditions but the team passed their road trip test with an workmanlike performance. The kicking game at times was a mixed bag; penalty misses were unexpected and surely gives Keatley and Hanrahan hope that the ten jersey is very much alive. The kicking game from hand was inconsistent; a couple of balls going dead allowing Ospreys good field position which the hosts failed to capitalize upon. The pack was good throughout. The scrum had their moments in both periods. The breakdown work was decent throughout and Justin Tipuric although prominent did not have a game winning performance. Credit in this respect goes to the mobile back row on duty. O’Connor, O’Donoghue and O’Donnell provided work rate and clear out. The back line were starved at times of quality possession but Chris Farrell’s cameo will have Munster fans excited. The ex-Grenoble player cameo for the second Munster try, his work rate and tackle count showed all his key attributes. The three quarter position suddenly has depth and it will be intriguing to see who Erasmus and management plumb for in the ERC fixtures next month. Rory Scannell’s kick game at twelve adds a new dimension to Munster. Taute is abrasive and a line breaker. Earls and Goggins when fit comes into the equation. Munster’s first serious contest this season. An early road trip win to complement the form of late last season. A trip to Glasgow Warriors will be another excellent early season test; do not be fooled by the Warriors narrow win over the Blues; the Scottish team will be riled up to face Munster and the Irish province should expect plenty next Friday. A solid start to the campaign for Munster; good start and gives the interim management in the New Year time to settle with early season wins in the bank. The final whistle spoke volumes. Dublin players and management rejoicing on the hallowed turf as Mayo players slumped to the ground in sheer disappointment. Lee Keegan was distraught; Mayo threw everything and still for the second year in a row came up short in the championship minutes in the final quarter. Hawkeye Sidekick reflects on the action. This was a final yet again where Dublin had to stay patient and persevere in the midst of a Mayo onslaught. Con O’Callaghan gave Dublin a dream start; exposing fragile Mayo full back line play to create the space to slot past David Clarke. Mayo were looking down the barrel but the team from the West refused to panic and hit the next four points. Dublin had issues in the middle third in the opening period. Parsons, O’Shea’s and McLaughlin were all prominent and distributing fast into Andy Moran who scored a quick three point salvo. Furthermore, Jason Doherty got in on the act with a quick brace of points. Mayo could do no wrong midway through the opening period. Dublin’s full forward line were being starved of possession. Mayo were two points clear just before the interval. Dublin got a vital lifeline when McQuillan adjudged an infringement which Dean Rock slotted over. It was a 50/50 call. Mayo fans were incensed. Dublin left the field a point down and probably fortunate to be only down by the solitary point. Mayo had left everything on the field in that opening half, the pace and tempo surely could not continue. Dublin started the second half in ominous fashion, several middle third possession wins setting up two quick scores to go in the lead. Mayo were ponderous with ball distribution, slow buildup play and the quick distribution to Moran was cut out. Mayo needed a shot in the arm and Jason Doherty had a glorious goal opportunity; well saved by Cluxton. Mayo did score a point from a free ensuing this play but it was a key moment. Mannion immediately had Dublin up the other end of the pitch and forced a superb save from Clarke. A point was scored in the resultant play; another key turning point. However, in the cold light of day; the sequence of events which led to the red cards are the decisive talking points. John Small in another era would have being applauded for the shoulder on Colm Boyle but on a yellow, the player was gone but the actions of Mayo player Donal Vaughan defied logic; ran twenty yards to get involved, shunted Small to the ground; third man in; striking action — red and to compound matters, a scoring opportunity for Mayo was negated. Incredibly reckless action from Vaughan and one that will haunt him and the team for some time to come. Dublin got out of jail with this sequence of events but they were powerless when Moran and Keegan combined for the Westport clubman to dispatch to the net. The goal was superbly worked; Keegan’s run from deep leaving Kilkenny in his wake. Moran with composure to hold the ball and then pass to Keegan; the strike was sublime. Game on. Mayo were leading with fifteen minutes left; time for cool heads. Nope. Mayo were defensively naive in the final quarter. Dublin were able to pinpoint long range passes into the full forward line; no decision from the line to deploy sweepers to cleanup. The decision of Cillian O’Connor to withdraw to the defense caused more problems for Mayo; no genuine outlet when Moran went off. Dublin’s forward line were really fancying the task; Mayo were going man to man. All Ireland’s are lost with such naivety. Dublin to their credit and their squad depth came to the fore. McMenamin and Connolly were excellent in their second half cameos. Both scored inspirational points and Connolly won the vital free which setup Dean Rock for the game winner. Scully unlucky to not start was superb along with Cormac Costello who was the hero last year. Bernard Brogan selfless running off the ball caused Mayo defensive headaches. Dublin’s squad mantra was to the core. Mayo’s lack of squad depth was exposed in the final quarter. Boyle and Moran had little more to give but the replacements lacked poise and composure in vital stages. Loftus coughing up ball in a good scoring position for Mayo. Full forward threat was finished as soon as Moran was subbed as O’Connor was playing in the middle third. Coen was decent but the other subs did not make an impact. O’Connor’s free miss into injury time; both Loftus and Drake not sensing the possibility of a rebound were static. Dublin cleared their lines and took full advantage. Mayo’s kick-out strategy was tested in the closing exchanges. Dublin pushed up on Clarke and Mayo blinked. Mayo’s middle third did not contest the last three Mayo long kickout’s from Clarke. They abandoned the initial jumper / second ball winning tactic that had served them so well. It gave Dublin a platform to win this game late and their brilliance was to the fore with the last five minutes; scored the free and then killed the game with passing game as Mayo were chasing shadows. Dublin have won this championship with several new leaders emerging from the panel. McCarthy was superb all season. O’Callaghan and Mannion with their pace, speed and scoring ability. Scully’s pace and work rate to the fore. When you decide to put the likes of Brogan, McMenamin, Connolly, MacAuley on the bench, enough said. Dublin are here for many years to come and it will take an exceptional side to beat them in the championship. Mayo. Where now? Serious soul searching again required by management and players. Self inflicted wounds again. 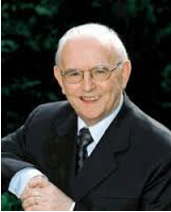 Donal Vaughan will only know why he did what he did. Mayo’s shot selections in the opening period which were wides were crucial, thinking of chances spurned by Durcan, Keegan, O’Connor and Moran in the opening period. If two of those scores go over, half-time would have being different. The Mayo squad depth was exposed in the final quarter. Dublin produced the big guns and Mayo management put on underage talent wholly unproven in this championship. It was decisive. Mayo need to cultivate the recent U21 All Ireland team and blood players into the starting lineup. It is the only way that they can do; increase squad panel strength. Mayo had several standouts. Higgins, Keegan, Parsons, Doherty were excellent. Andy Moran was heroic and was their star man. Hard to see how Mayo pick themselves from another devastating reversal. What to make of Munster after two rounds of the Guinness Pro 14? There is promise aplenty but the side have not being seriously tested by either Benetton Rugby or the Cheetahs as Munster stood out to a comfortable 51-18 victory over the South Africans. Hawkeye Sidekick reflects on the action. The game will be remembered for the performance of Alex Wootton. The former Northampton Saints recruit has taken his opportunity superbly this season to lay down a berth in the first team squad. His four tries yesterday will have not done his cause any harm at all, clinical try scoring execution throughout and his overall game stood out. When you consider Scannell, Earls, Zebo, O’Mahoney are all yet to start for Munster yet this season, the back line depth looks decent. Dan Goggins will come back into the equation later in the year. Exciting times. This game was pretty much over at half-time as Munster’s pack flexed their muscles at will to setup the platform to create endless attacking opportunities. The pack were instrumental in the opening try of the contest. The impressive Jack O’Donoghue providing composure to pass to the perfectly timed run of Tommy O’Donnell who was not going to be stopped from three meters out. It was the indication of further angst for the Cheetahs who were second best in contact, kick game albeit their passing game at times was easy on the eye. Wootton was benefiting from excellent work inside where Farrell, Taute and Conway when hitting the line were creating space out wide. His second try of the afternoon emphasized this point. Great work from Keatley, Taute and Sweetnam to create the space out wide for Wootton who had plenty to do but his pace was enough to score. It was a superb score, created with excellent work at the breakdown, incisive passing. As expected, the South African teams have struggled for cohesion early doors in this tournament. I expect both the Cheetahs and Southern Kings to be different propositions in this tournament particularly at home as the season progresses. The Currie Cup competition is in progress; the South African internationals are away from the club. The Cheetahs showed their passing game is going to be a massive weapon as the season progresses; their wonderful try after the interval evidence of this. Great hands and the finish from William Small-Smith was sublime. The kicking game needs to improve; backs need to adapt to NH kicking game, too many times Cheetah back field players were exposed by Munster kicks deep to the corners. The Cheetahs and Southern Kings personally are good additions for the league; next weekend will be key in how the South African rugby public in Bloemfontein and Port Elizabeth receive the league. This was a humbling experience for the Cheetahs but required to reset the team’s focus for the rest of the tournament. Tough road schedule start. Hope for better next weekend. Hard one to quantify right now. The ease at which Munster Rugby have beaten Benetton Rugby and The Cheetahs suggests that form is good within the camp; players like season are getting adequate game minutes. Liam O’Connor and Sean O’Connor again were impressive after good cameos last weekend. The prop forward looks an interesting prospect; his scrummaging was on point and had the Cheetahs in all sorts of trouble early doors; instrumental in the O’Donnell opening try. It was a first chance for many to see Munster center Chris Farrell and the former Grenoble player did not disappoint with an excellent outing on his Thomond Park debut. Abrasive in ball carrying, tenacious in tackle and defensive play but the attribute to the fore was his ability to pick a line break and use his speed and pace to create. His try showed off these talents superbly, identified a gap in the Cheetahs defense inside and used his pace to run unopposed for a try. Farrell looks an astute piece of business from Munster; good age profile, all the attributes and the player who will continue to improve throughout his Munster tenure. After seeing off their first two Guinness Pro 14 opponents with ease, it is fair to say that Munster should be evaluated more after the trip to the Ospreys next weekend. A fixture which is always hard fought and competitive, the hosts will be keen to get back on track after a 31-10 loss away to Glasgow Warriors this weekend. Looking forward to the contest as the first two games have being one way traffic fixtures. If Munster can defeat the Ospreys, then it will be a superb start to the season for Erasmus’ side.